Thursday 15Oct09 we crossed, by carferry, from New London,CT to Orient Point on Long Island. When we disembarked, it started to rain. It would continue to rain all day. We drove the entire length of Long Island, traffic delayed us, the area was bland and uninteresting. The rain made it worse and slowed us down even more. 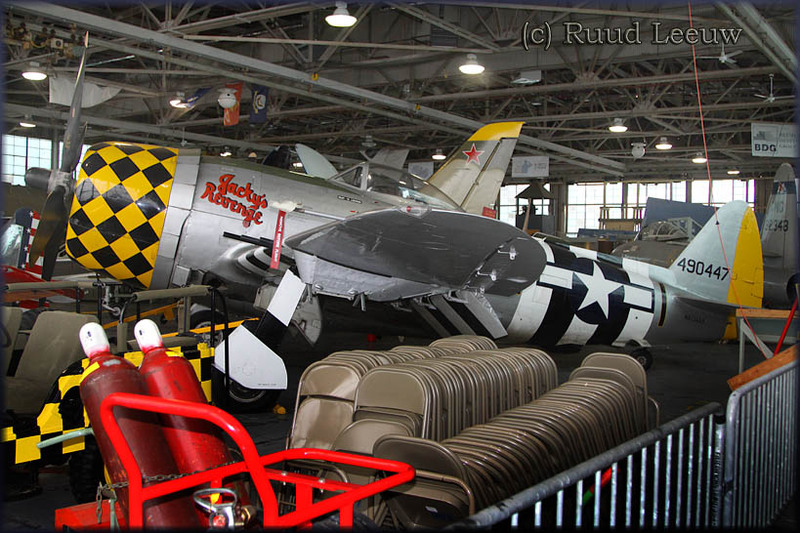 When we arrived at Farmingdale's Republic Airport (KFRG), we didn't see any signs of the American Airpower Museum. We asked someone for directions, but he couldn't help us. As it turned out, we circled the airport the wrong way around. 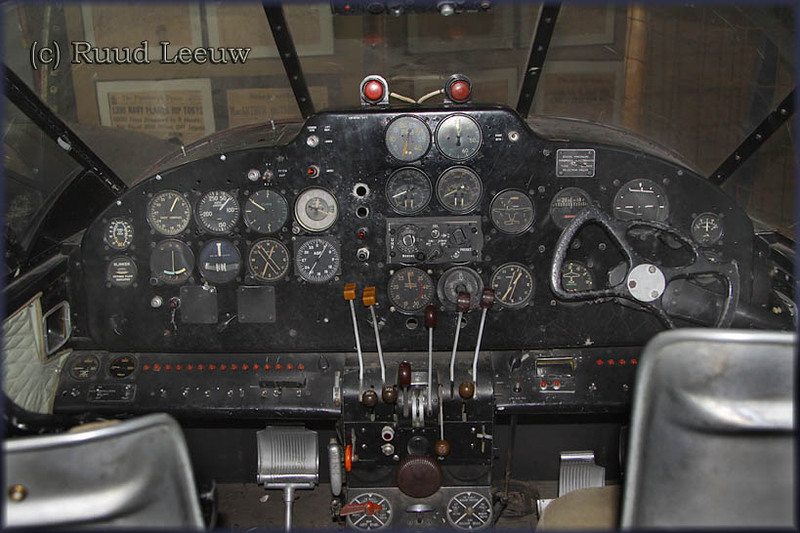 Many of the exhibits of this museum are airworthy and flyable. 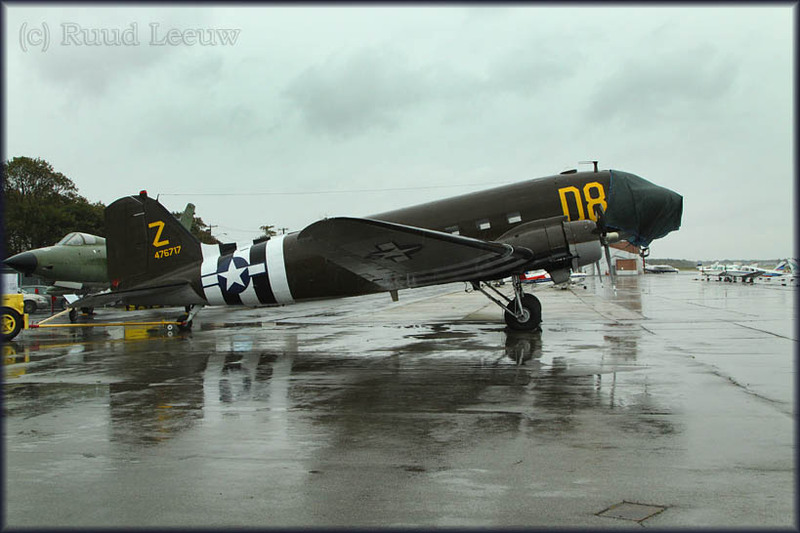 That includes this Douglas C-47B N15SJ '476717/Z-D8' (c/n 16301/33049). 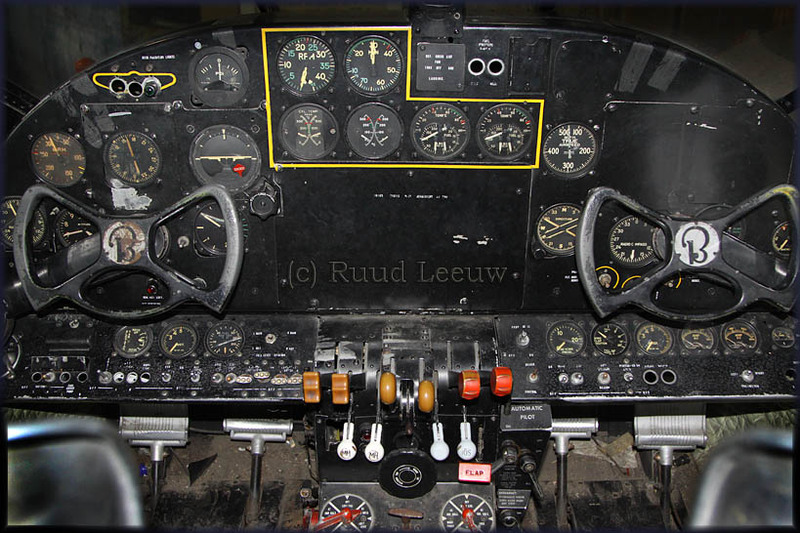 44-76717, KN512, K-29 (Belgium), 476717 (France), 4X-FNK/006 (Israel) and N135SJ. And in the other one..
Click on the thumbnail for a larger image.. This Consolidated Vultee PBY-6A was registered to the American Airpower Museum (Farmingdale,NY) on 24Jan2006. 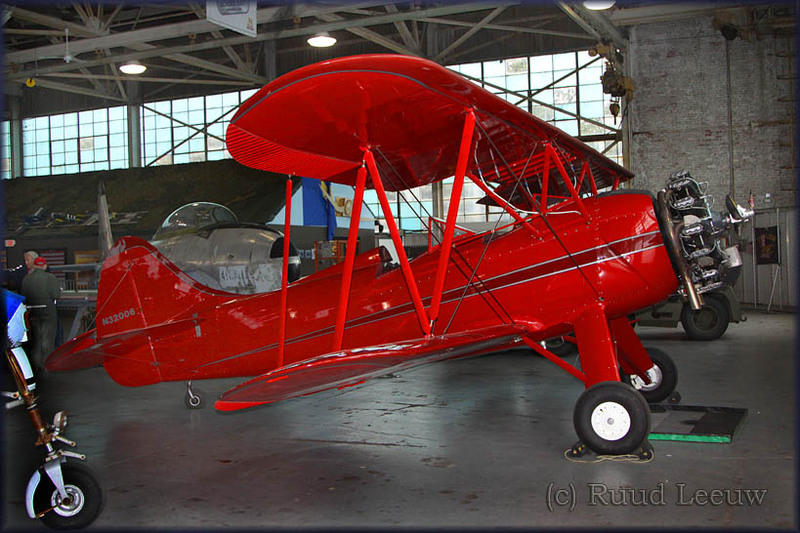 The FAA N-inquiry website for N7057C also lists its year of manufacture as 1942 and it is equipped with P&W R-1830 Series engines. 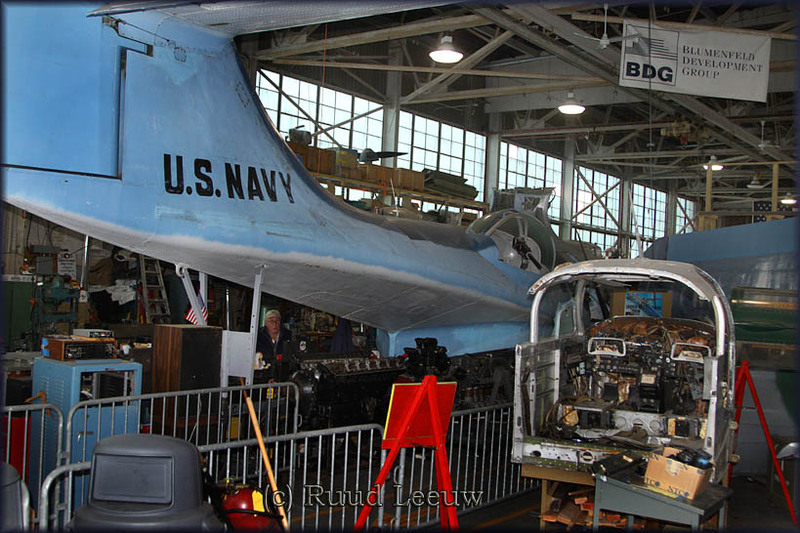 Its serial is listed as 64072, but this is not the manufacturer's serial (which is 2142), but rather its former US Navy registration. 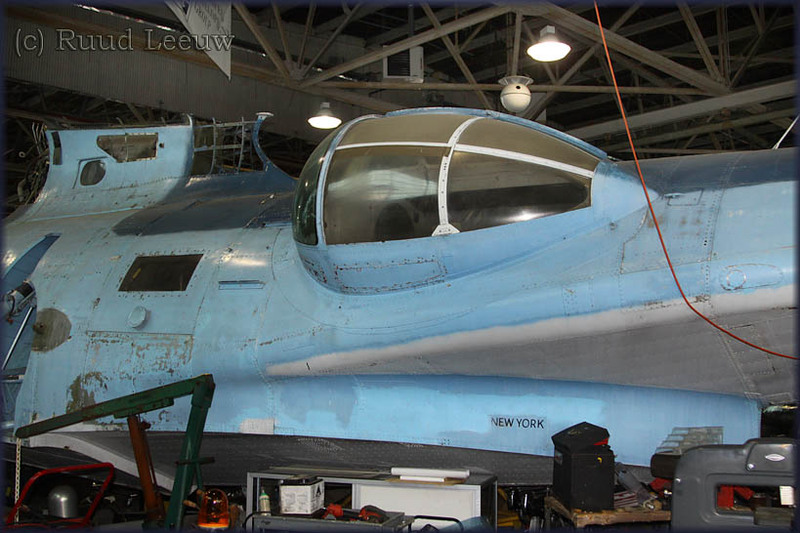 "News about the American Airpower Museum’s PBY-6A N7057C (c/n 2142). 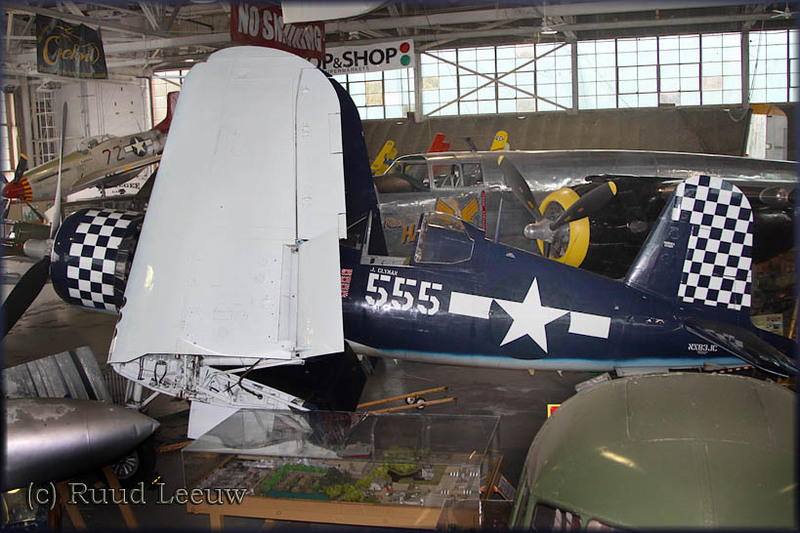 They acquired this Catalina from the National Warplane Museum and flew it to their base at Farmingdale,NY. 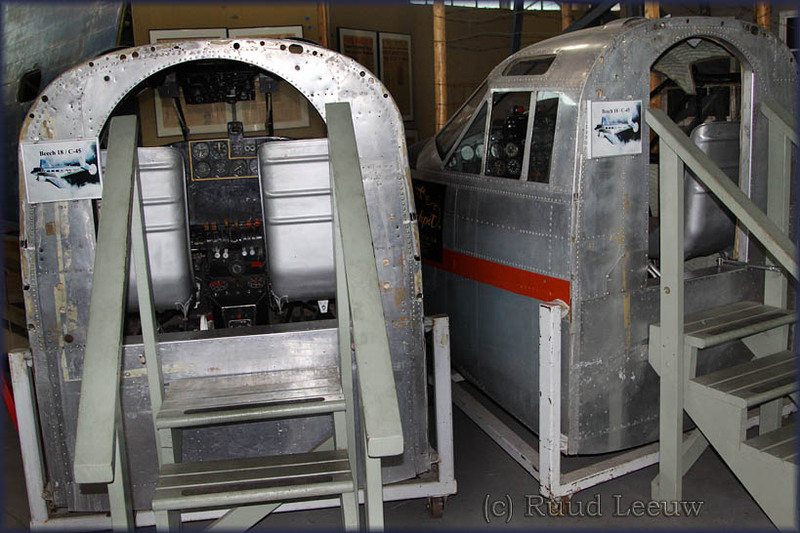 It is intended to be kept/made airworthy and used to offer ‘rides’. However, a recent inspection has revealed that the wing centre section around the fuel tanks has severe corrosion in it. 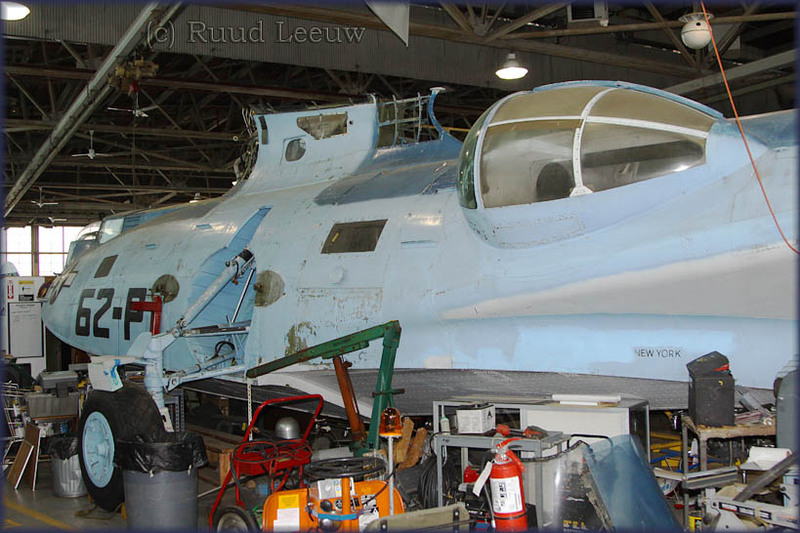 Renovation is to be carried out free of charge by a repair shop and it is hoped that N7057C will be flying again by the Spring of 2009." Obviously, now by Autumn 2009, it is still a long way off from flying... I was told the fueltanks had been sent away for refurbishment and hopefully 2010 would see catalina N7057C go airborne again. 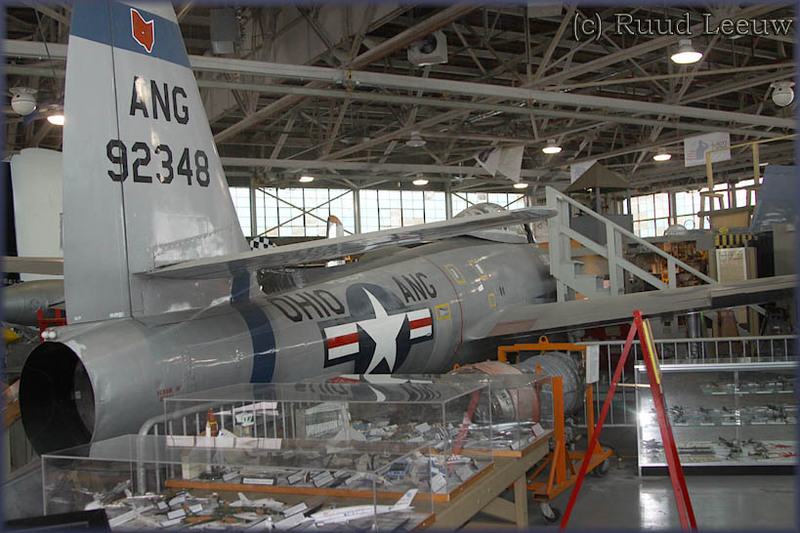 The amount of space is limited in the hangar, resulting in a very cramped display. 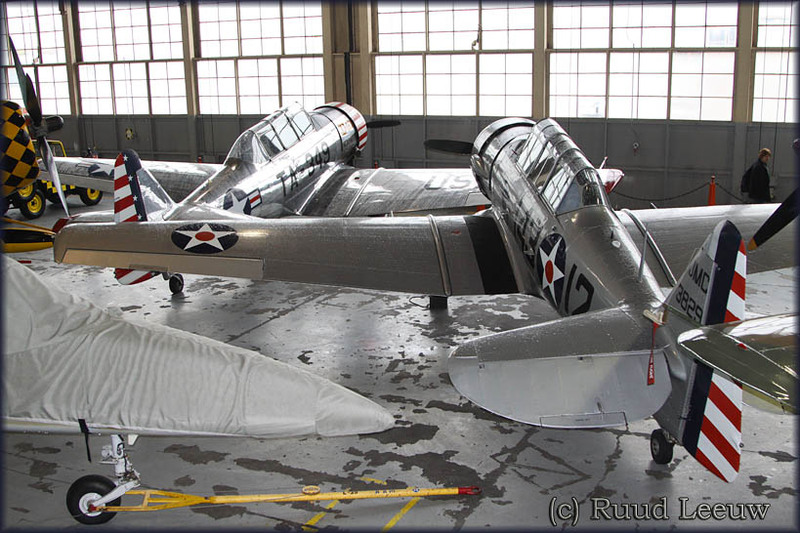 Hollywood stunt pilot Paul Mantz flew the real deal as NX1204, raced it as #46, #60 ! 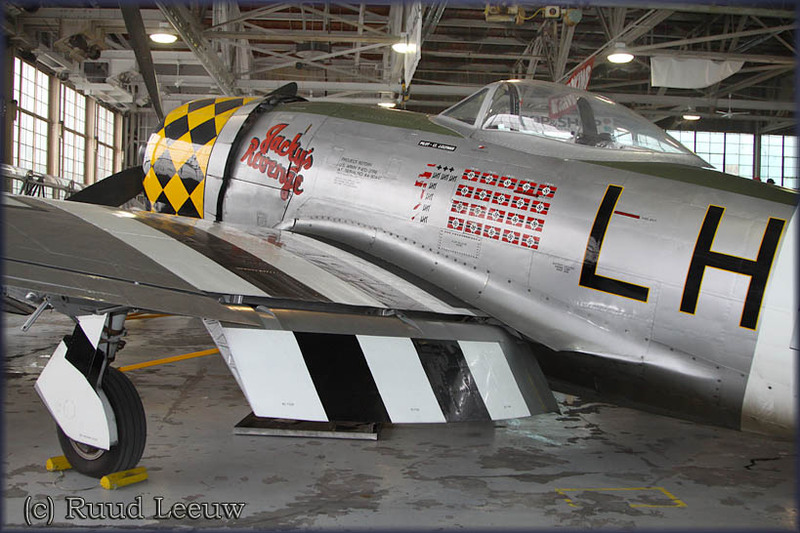 See the website P-51 Mustang Survivors, it is listed to reside with Kermit Weeks' Fantasy of Flight in Florida (PHOTO). 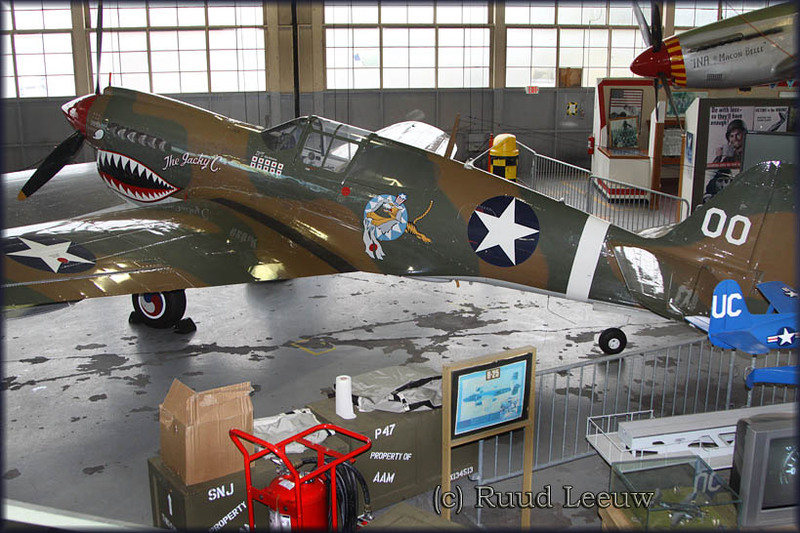 Once part of Harrah's Aircraft Museum in Reno,NV, this P-40 was rebuilt by the well-known racing pilot bill Destefani at Minter Field,CA, before joining the Lone Star Flight Museum at Galveston,TX. 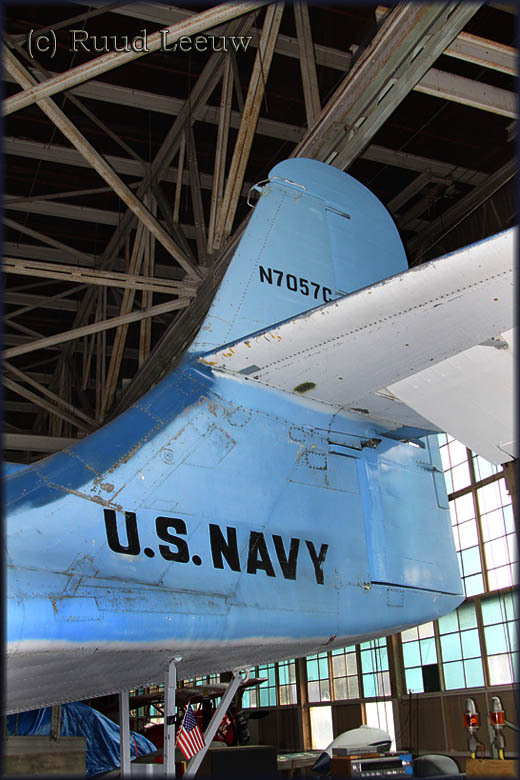 After disposal by the US Navy in 1958 this Corsair flew with several owners and for a period in the early 1980s was raced by a team based in Wyoming. 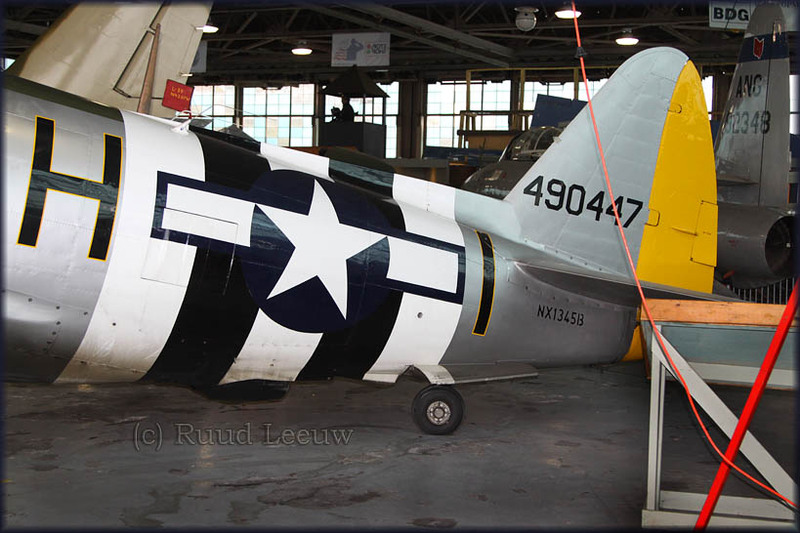 This P-47D Thunderbolt was built at Farmingdale and was acquired from the Museum of Flying in California in 2000. 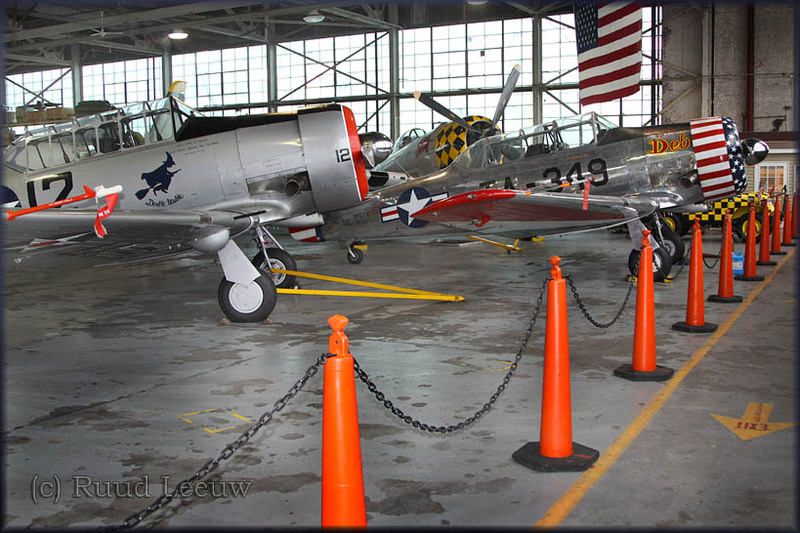 Republic Airport was developed by Sherman Fairchild as the Fairchild Flying Field in East Farmingdale on Long Island, NY in late 1927 as his flying field and airplane factory on Motor Avenue in South Farmingdale was inadequate to support the mass production of his FC-2 and Model 71 airplanes. Fairchild purchased property on the south side of Route 24-Conklin Street and had the airport's original layout plan prepared on November 3, 1927. 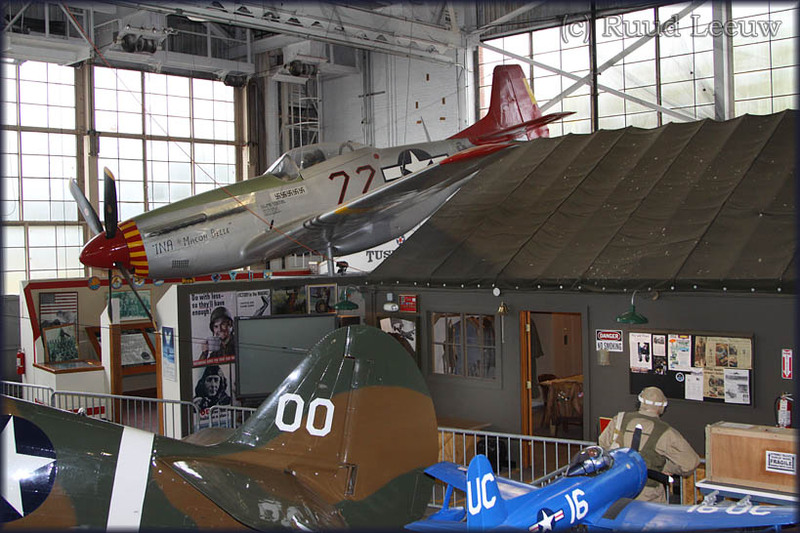 The 77.967-acre (315,520 m2) flying field was developed in the late winter and early spring of 1928 and was originally owned and operated by Fairchild Engine & Airplane Manufacturing Company. The first flights from the Fairchild Flying Field took place in late spring of 1928 after the Fairchild Airplane and Airplane Engine factories and hangar were completed and aircraft were produced in the new factories. 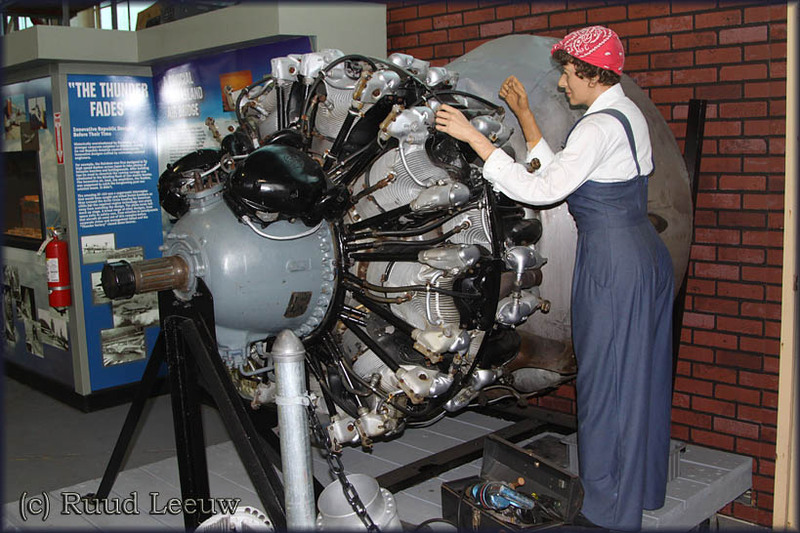 After Fairchild moved to Hagerstown, Maryland in 1931, Grumman Aircraft Engineering built planes at the airport from 1932 until the spring of 1937. 'TLC' = tender loving care! 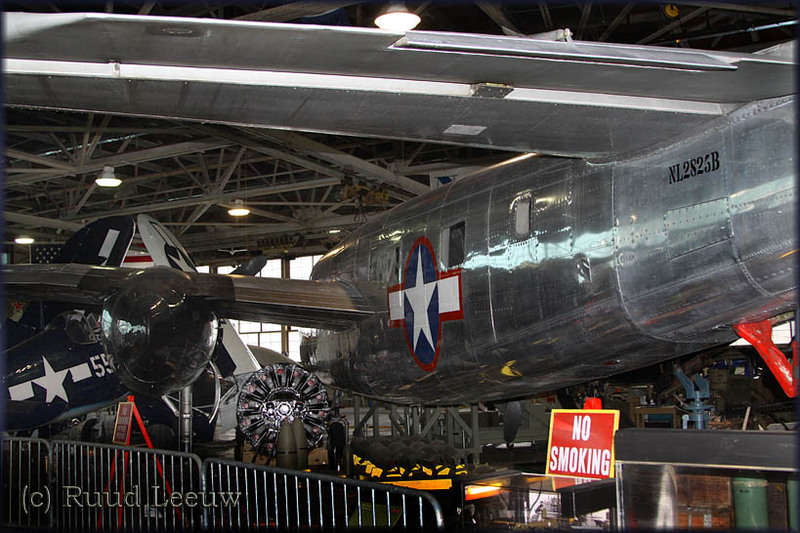 The hangar's crowdedness unfortunately made it impossible to take a decent shot of the B-25 Mitchell. 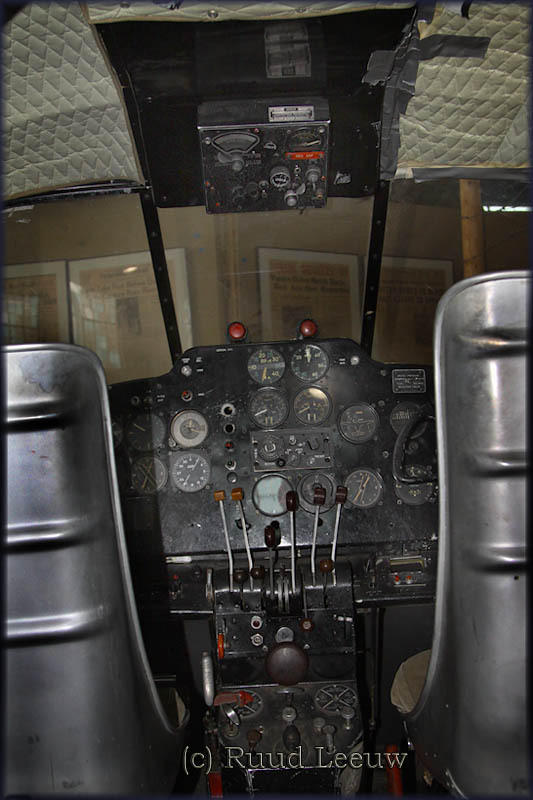 This B-25 is believed to be the oldest surviving Mitchell bomber. 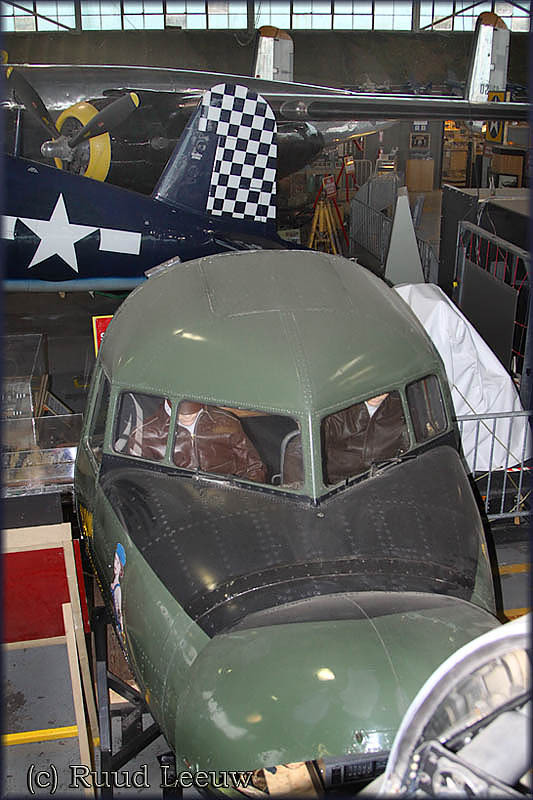 The museum's centerpiece is the WWII B-25 Mitchell, "Miss Hap", which was the personal transport used by General 'Hap' Arnold. 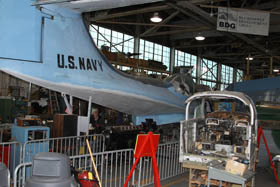 It has also been owned by Howard Hughes for a period after WW2. 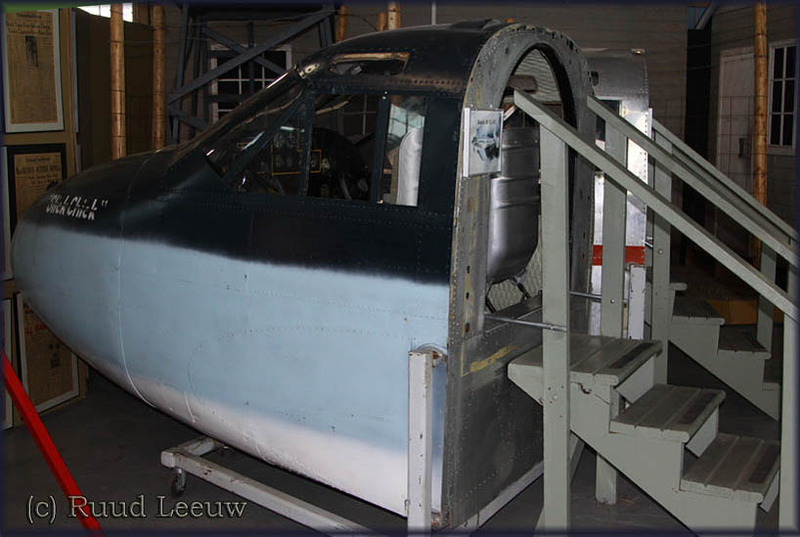 This B-25 Mitchell, modified to RB-25 at some point was delivered to the USAAF as 40-2168 (c/n 62-2837) and went through civil registries as NL75831, N75831, XB-GOG, N2825B. 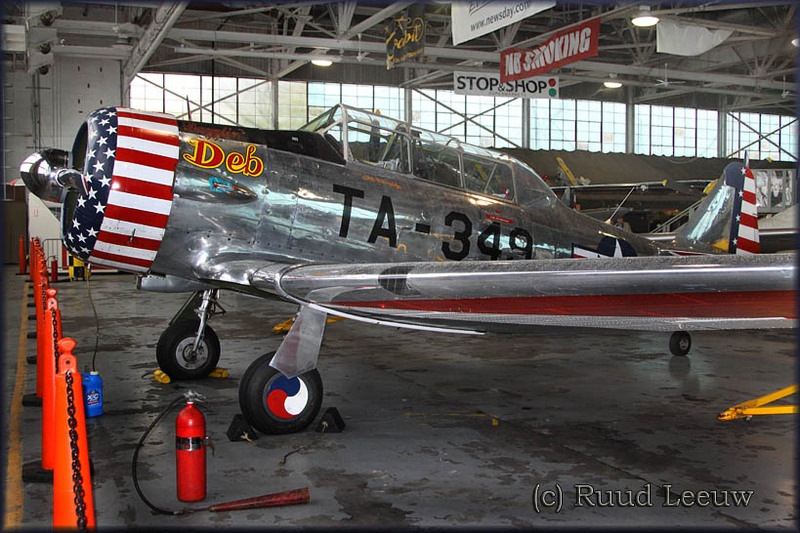 Delivered to USAAF as 40-2168. 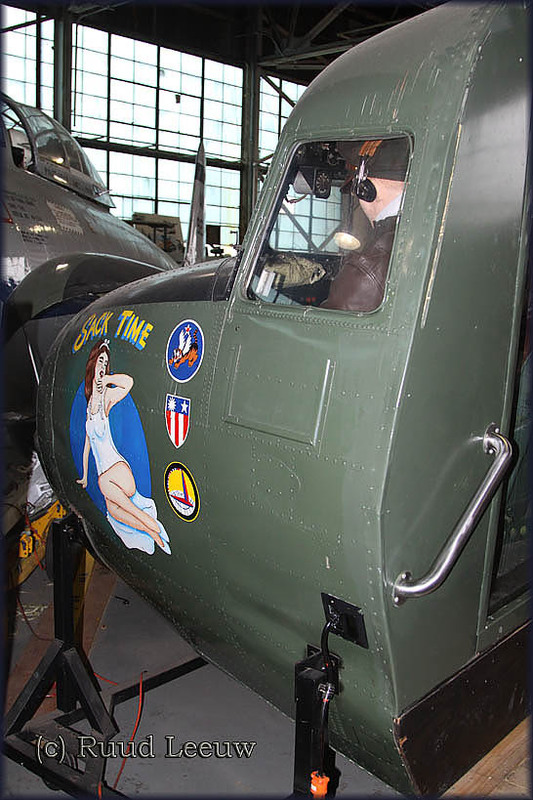 - Assigned to 17th Bomb Group. 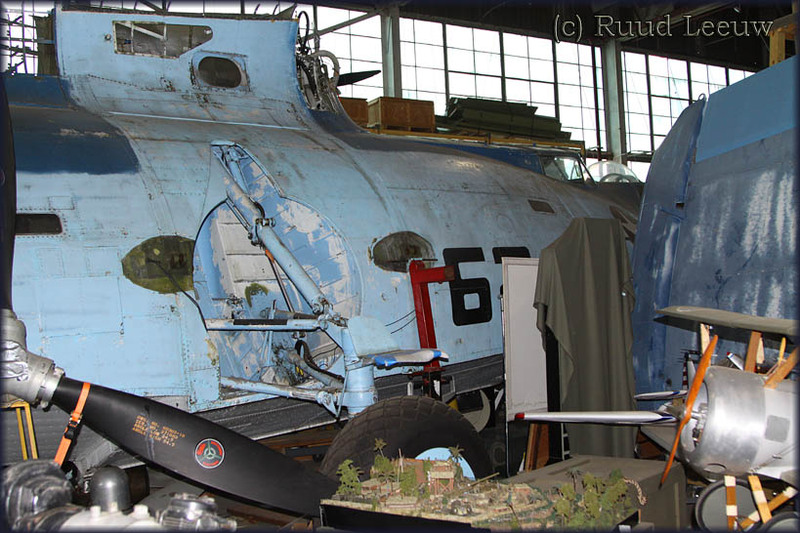 -- Used as Gen. Hap Arnold's RB-25 VIP transport, 1943-1944. Charles R. Bates, Chatanooga, TN, Jan. 22, 1947-1948. - Registration XB-GOG reserved but not taken up. -- Issued ferry permit but not used. - Registered as NL75831, Apr. 1947. Bankers Life & Casualty Co, Chicago, IL, Nov. 4, 1948. Hughes Tool Co, Houston, TX, June 28, 1951-1962. Hughes/Acme Aircraft Co, Lomita, CA, June 1962-1964. - Last FAA inspection, Nov. 1956. - Removed from USCR as salvaged, Mar. 1965. JRT Aero Service, Wichita Fallsm TX, Oct. 1966-1971. John P. Silberman, Savannah, GA, Aug. 25, 1971-1974. SST Aviation Museum, Kissimee, FL, Oct. 8, 1974-1979. Chuck Thompson/Mustang Productions Inc, Polk City, FL, June 1975-1976. Grover R. Summers & Samuel E. Pool, Lake Wales, FL, Feb. 1977. Charles "Dewey" Miller, Mobile, AL, Aug. 28, 1977-1983. - Delivered from Kissimee, FL to Mobile, AL, Dec. 12, 1978. 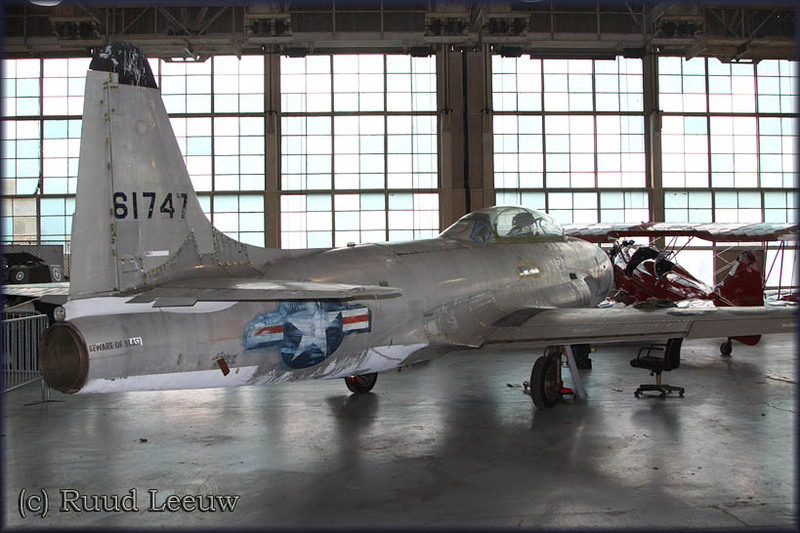 - Restored to airworthy, first flight Sept. 9, 1980. - Flew as "Proud Mary". Alan Clarke/Fighting Air Command/Flytex Inc, Dallas, TX, July 1983-1987. - Solid nose replace with glass nose. - Flew as 02168/The General. Jeff Clyman/TBF Inc, Tenafly, NY, Nov. 1989-2002. 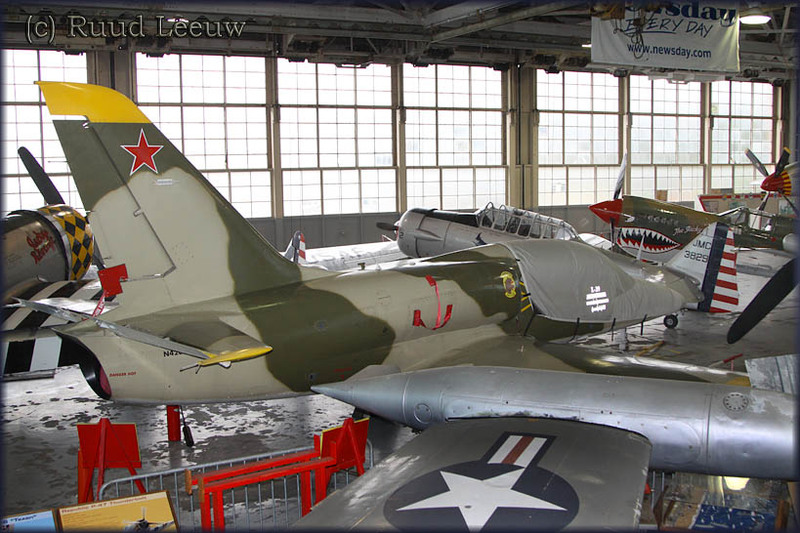 American Airpower Museum, Farmingdale, NY, 2002-2006. - Flown as 02168/"Avirex Express" on starboard side and "Miss Hap" on port side.